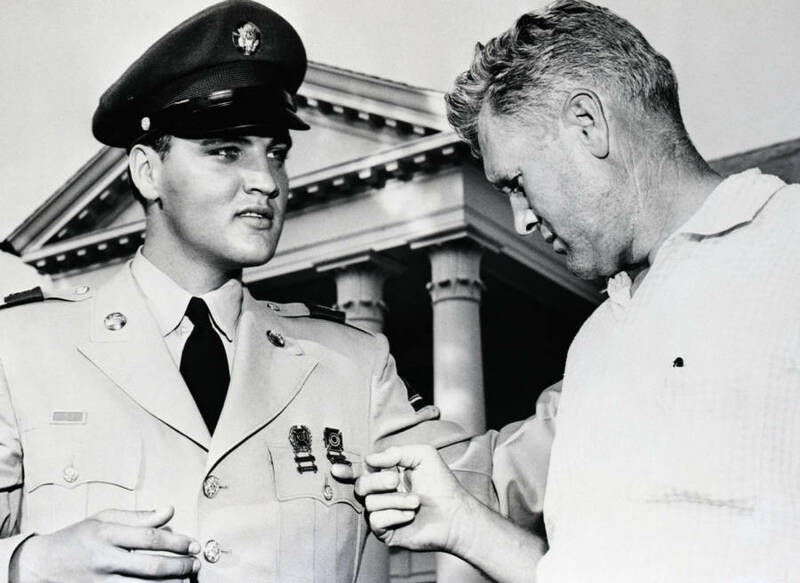 Vernon Presley was the doting father of Elvis, and the man who ensured his career reached the epic heights that it did. 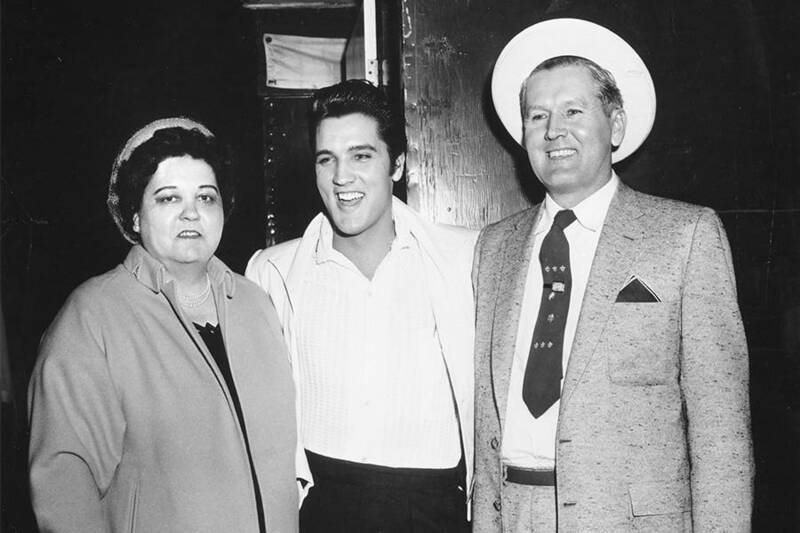 Michael Ochs Archives/Getty ImagesElvis Presley with his parents Gladys and Vernon Presley in 1961. Behind every superstar, there are parental figures who help them. That was certainly the case with The King, Elvis Presley. His father Vernon Presley had a huge influence on his life from an early age and into adulthood. Vernon was born on April 10, 1916, in Fulton, Mississippi. In 1933 at the age of 17, he married Elvis’s mother who was four years his senior at age 21. Vernon worked various odd jobs to make ends meet. He frequently worked with his older brother on the farm, and he also drove a wholesale grocery delivery truck to retail stores throughout Mississippi. Elvis came into the world on Jan. 8, 1935. In an interview with Good Housekeeping in 1978 after his son died at age 42, Vernon Presley talked about how much he looked forward to being a father. “When Elvis was about ten years old…I can only say that God spoke to my heart and told me that Elvis was the only child we’d ever have and the only child we’d ever need. Elvis was a special gift who would ﬁll our lives completely. Without little Jesse who was born dead, without the other children we’d hoped to have, we understood that we were an extraordinarily complete family circle. Bettmann/Getty ImagesVernon Presley looks like any other proud parent as he examines his sons medals in front of the Presley home in 1958. Vernon left it at that and respected his son’s feelings. One thing the Presley family did do together was sing. They attended church, where Vernon was a deacon for the Assemblies of God and his wife sang. The three of them would gather around the piano and sing gospel songs. This love of church music, coupled with happy family memories, surely helped a young Elvis Presley turn into The King of Rock and Roll. The elder Presley said his son wanted to be an entertainer shortly after he got out of high school. Vernon said his son wanted to try gospel singing. You can see and hear Vernon Presley talk about his son’s early career in clips from the documentary Elvis on Tour during interviews in 1972. Michael Ochs Archives/Getty ImagesElvis Presley and his father Vernon Presley during a press conference after his first performance at the International Hotel on August 1, 1969 in Las Vegas, Nevada. Clearly, fame changed the minds of many people about Elvis’s abilities, but it was too late. Elvis was a solo act and his dad made sure of it. He told Elvis to stick to what he’s got, and the rest is history. When the King became famous, Vernon was not far behind. Vernon managed his son’s affairs from Graceland, where the Presleys lived since Elvis was 21. 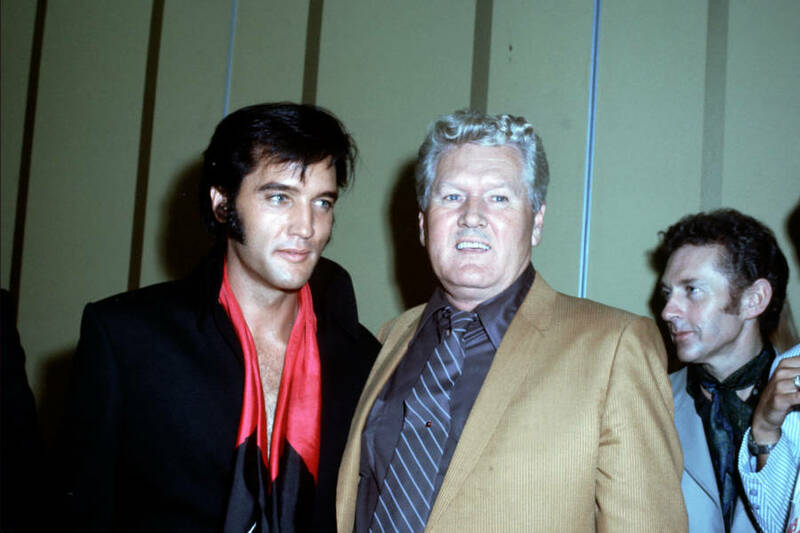 Not only did Vernon oversee Elvis’s finances to a large extent, he also went on tour with his son. Vernon also visited Elvis on the sets of his movies and had a role as an extra in Live a Little, Love a Little. The two men were inseparable during Elvis’s entire life, and they clearly relied on each other for help. When Elvis died in 1977, Vernon became the executor of his estate and earned $72,000 a year making sure the King’s last will and testament came to pass. 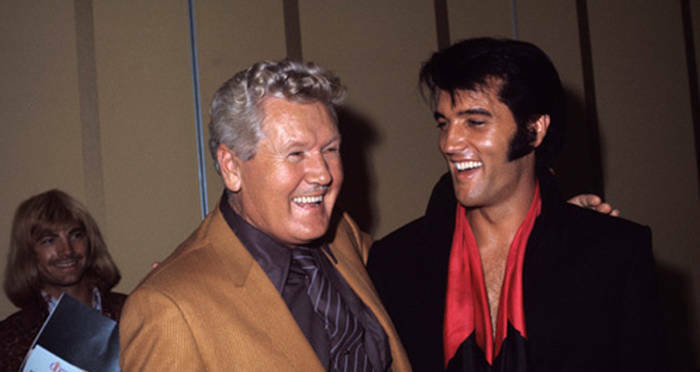 The elder Presley died two years later of a heart attack in June of 1979. Some believe Vernon Presley died of a broken heart. No father should have to endure the death of a child, especially when he felt so close to his boy his entire life. Even though the death of Elvis was tragic and horrible, at least the two Presley men weren’t apart for long and they are both at peace. After learning about Vernon Presley, the father of Elvis Presley, check out these crazy Elvis facts. Then, read the story behind the infamous photo of Elvis and President Richard Nixon.